Thank you for your interest in REAL Journey Academies. Admission to REAL Journey academies is open to any resident of the state of California. REAL Journey Academies will not charge students tuition and will not discriminate on the basis of the characteristics listed in Education Code Section 220 (actual or perceived disability, gender, gender identity, gender expression, nationality, race or ethnicity, religion, sexual orientation, or any other characteristic that is contained in the definition of hate crimes set forth in Section 422.55 of the Penal Code, including immigration status, or association with an individual who has any of the aforementioned characteristics). Admissions to REAL Journey Academies is based on a lottery. If the number of students applying for admission exceeds openings available, entrance will be determined by a public random lottery. To be eligible for selection to the lottery, the application form must be completed, accurate and received during the open enrollment window set by REAL Journey Academies. We are now accepting new applications for the 2019 – 2020 academic year. Admission is free and open to all California students. 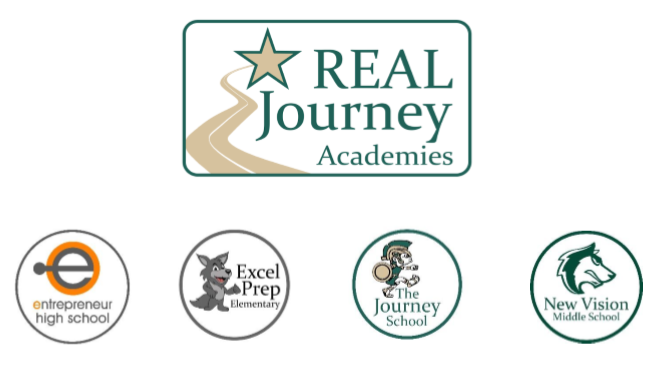 Step 1: Go to realjourney.schoolmint.net and create an account. Step 2: Select the school(s) you would like to apply for. You should receive confirmation from our enrollment system that your application was received. Step 3: Check back in at any time to monitor the status of your application, apply to additional schools or withdraw an application, and accept offers. If you are not able to access the application by computer or mobile device, you can also apply by stopping by school’s front office to register. If the number of students applying for admission exceeds openings available, entrance will be determined by a public random lottery. To be eligible for selection in the lottery, your application must be complete, accurate and received by January 13, 2019. The lottery will be held on January 14, 2019, at 3 pm at Entrepreneur High School (via electronic lottery). If a lottery is not needed because space is available for all applicants, students will be accepted until the school reaches capacity, at which point a waitlist will be created. Families of all accepted students will receive an automatic notification. You must confirm within two weeks that you intend to enroll your child to secure a spot. If you submit an application after January 13, 2019 and there are no spaces available, your child’s name will be added to a waitlist. We will admit students from the waitlist after the lottery as spots become available and in the order in which we receive applications. Admission to Real Journey Academies is open to any resident of the state of California. Real Journey Academies will not charge students tuition and will not discriminate on the basis of the characteristics listed in Education Code Section 220 (actual or perceived disability, gender, gender identity, gender expression, nationality, race or ethnicity, religion, sexual orientation, or any other characteristic that is contained in the definition of hate crimes set forth in Section 422.55 of the Penal Code, including immigration status, or association with an individual who has any of the aforementioned characteristics).